As part of the current negotiations on Hydrofluorocarbons’ (HFC) phase-down under the Montreal Protocol, countries are being urged to move from high Global Warming Potential (GWP) HFCs to low GWP alternatives. Hydrocarbons have come up as a major contender for replacing HFCs in the current phase-down. Hydrocarbons are long-term refrigerants without any uncertainty with respect to emerging environmental regulations. These gases, in addition to having low GWP, are also freely available and have higher energy efficiency than traditional f-gases. This means that in addition to the direct emissions from HFCs, a switch to hydrocarbons will also save on indirect emissions from the high energy efficiency offered by these refrigerants. The only major barrier to the large scale use of hydrocarbons has been the safety concerns over the high flammability of these refrigerants especially in room air-conditioning. In order to address the restrictive nature of the safety standards, Centre for Science and Environment (CSE) organised a workshop on developing appropriate safety standards for hydrocarbon refrigerants in the RAC sector on April 26-27. According to the technological and economic assessment panel (TEAP) created under the Montreal Protocol, hydrocarbons can be used as an alternative in all RAC sectors, with the possible exception of mobile air-conditioning. The only major barrier to the large scale use of hydrocarbons has been the safety concerns over the high flammability of these refrigerants especially in room air-conditioning. These concerns stem from studies that were performed decades ago, with little consideration for the technological improvements made to ensure safety in hydrocarbon-based RAC systems. This perception of diminished safety has led to restrictive safety standards under the two major international standards regimes, i.e. International Electrotechnical Commission (IEC) and the International Standards Organisation (ISO). New studies have shown that the maximum charge size limits set under these standards are restrictive. This has been because the test conditions used to come up with the current standards were suboptimal and not representative of practical use. More realistic studies of the safety concerns related to gas leakages in hydrocarbon-based RAC systems reveal that the charge size of these systems can be increased (with the use of available safety features) by up to three times the current limits. This will allow for the use of hydrocarbon-based RAC systems with higher cooling capacity in much less restrictive circumstances (room size limits). 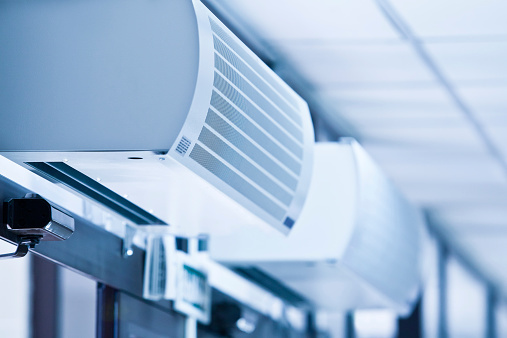 It is estimated that such a change in the hydrocarbon standards can allow for a smooth transition to hydrocarbons in almost all stationary air-conditioning (SAC) applications. The SAC sector accounts for more than 30 per cent of the global HFC emissions and a switch to hydrocarbons in this sector will make a significant impact on mitigation of HFC emissions. To compile latest information on safety of hydrocarbons including tests done on hydrocarbon based RAC equipments and develop a dossier to support the need for an appropriate standard for India. If required, additional tests could be conducted in labs to substantiate the global experience on safety of hydrocarbons in rac sector. To prepare draft standards for charge size in hydrocarbons taking into account EER improvements and average heat load for Indian conditions (between 75-150 W/m2).